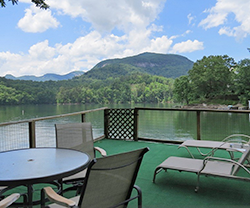 Charming lakefront cottage with beautiful mountain and sunset views on Lake Lure. 2 bedroom 2 bath with central H&AC. 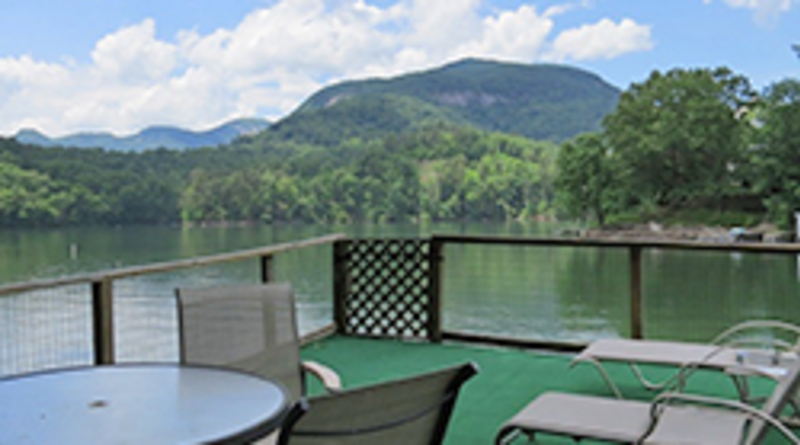 Linens provided, full kitchen, dishwasher, microwave, washer/dryer, CATV and VCR, fireplace telephones, charcoal BBQ, picnic table, canoe and paddle boat with large deck on boathouse. No smoking and no pets please.